Are today's "safe" playgrounds really any safer? In honor of National Playground Safety Week, we present our favorite "dangerous" playgrounds--that is, playgrounds that make no secret of the risks they present. Interestingly, the perception that a playground is "safe" may cause children (and parents) to act carelessly, potentially leading to injury. 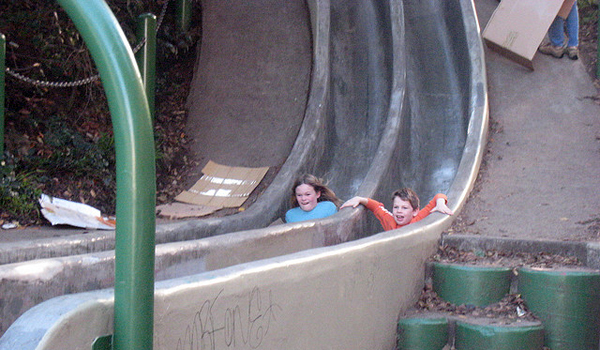 By contrast, when risks are obvious, children are likely to proceed more cautiously. 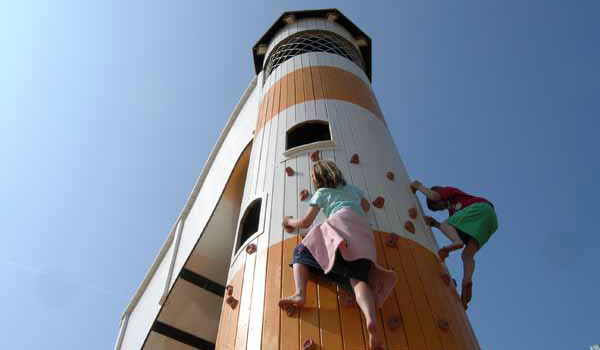 Knowing that the injury rates on Adventure Playgrounds, which are depicted in some of the following slides, are not substantively different from those on "standard" playgrounds, we have to ask ourselves: Which hurt our children more? 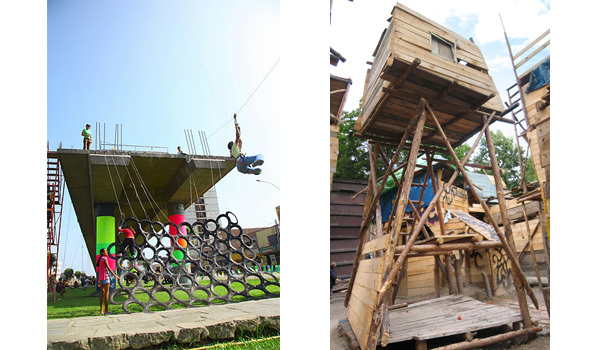 Playgrounds that bore them, or playgrounds that challenge and engage? For more on risk and play, read our CEO Darell Hammond's Huffington Post piece, "Dangerous Playgrounds Are Good for Your Children." 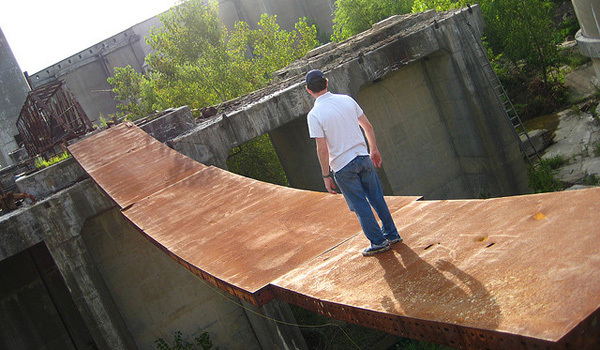 For more mouthwatering photos, see our Dangerous Playgrounds Pinterest board. 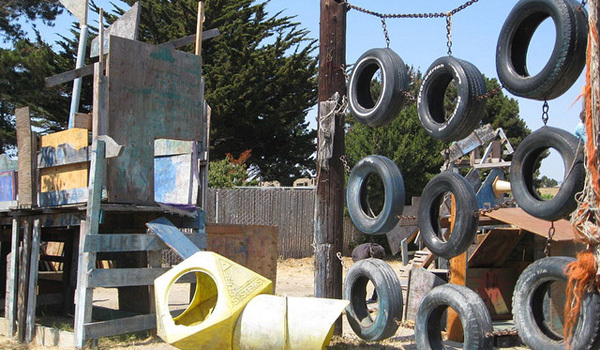 Adventure Playground in Berkeley, Calif. Photo by penny (cc). Cementland in St. Louis, Mo. Photo by lolololori (cc). 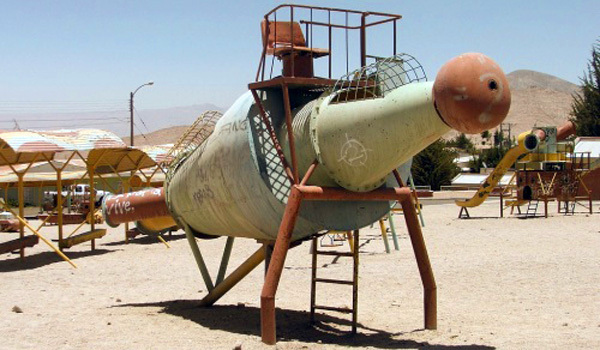 Chilean Miners Playground in Chuquicamata, Chile. 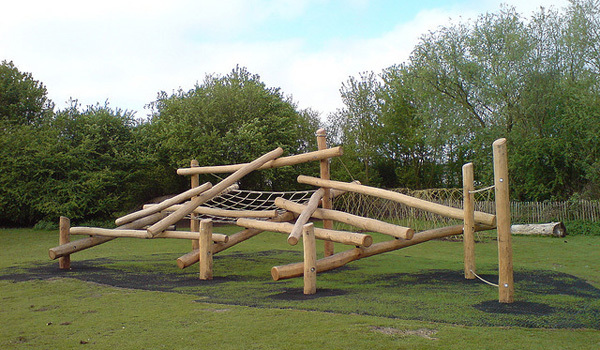 Photo via PlayGroundology. 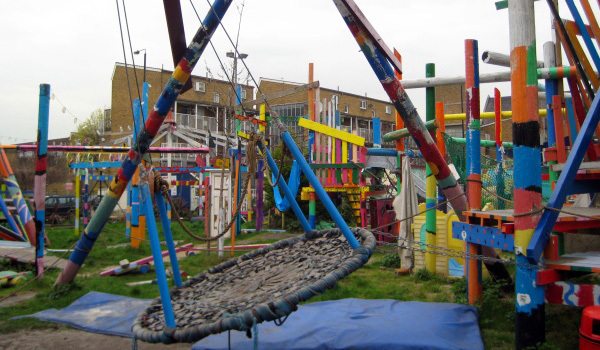 Glamis Adventure Playground in London, UK. 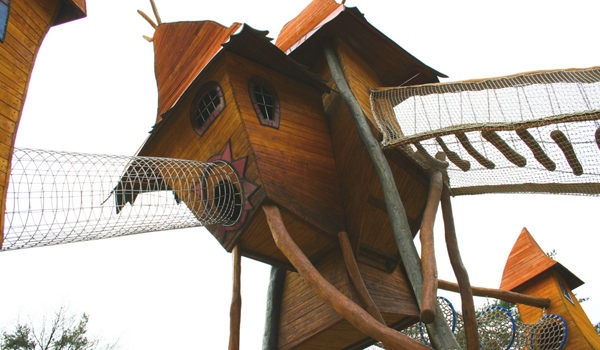 A Monstrum Playground in Denmark. Photo via Playscapes. Landal Miggelenberg Park in Hoenderloo, Netherlands. Photo by Patrick Ahles (cc). Seward Street Slides in San Francisco, Calif. Photo by cinjo (cc). Paris, France. Photo by Alexandre Duret-Lutz (cc). 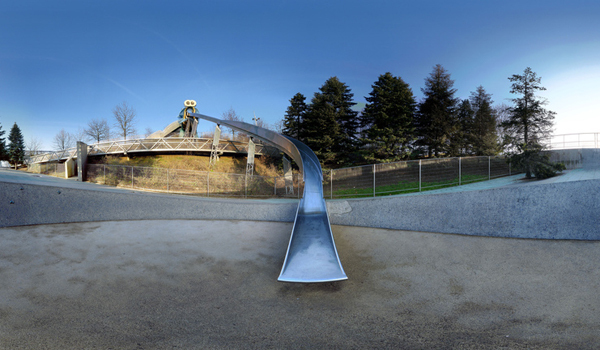 Ghost Train Park in Peru, via Playscapes (left). Kolle 37 in Berlin, via Public Workshop (right). Location unknown. Photo by Crispin Semmens (cc). 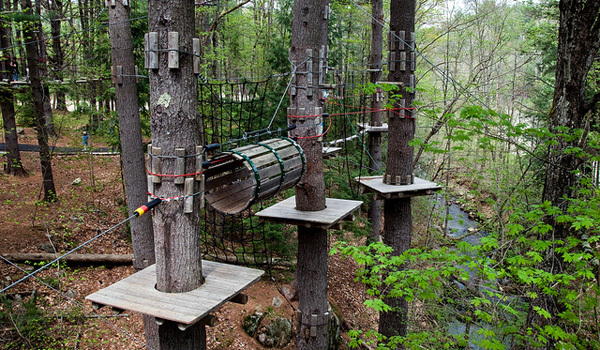 Adirondack Extreme Adventure Course in Bolton Landing, N.Y. Photo by Michael Roach (cc). What if more playgrounds simulated video games?